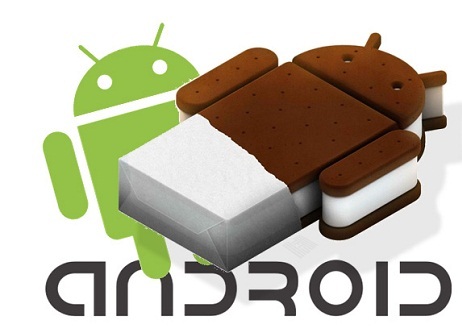 Ice Cream Sandwich is the current version of Android designed for phones, tablets and few other devices. 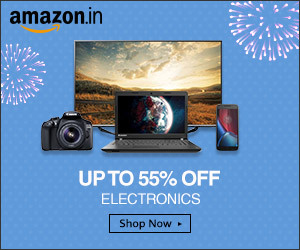 It has been built on all the features users longed for a while now and brings out a complete new user experience in terms of multitasking, customizable home screens and highly intuitive interface. Android 4.0 is highly visual, with less boring text and more obvious action pictures. All the interaction with the device will now be as easy and predictable as if you already knew them. The devices will now don entirely new animations which will make things on your device even more interesting and navigation more fun. Multitasking was of penultimate importance while designing the new Android platform and hence, has been taken care of very faithfully and is the core strength with this release. The virtual on-screen double window button takes you to a new kind of “Recent Apps” menu where all the running apps are displayed not by their default icons but by the thumbnail of the screen you last left while operating. The “Notification Bar” has also been given a complete makeover, with support for real-time updates from apps, new music player bar, incoming messages and many alike. The Home screen now offers a “new” way of grouping apps together, just by dropping the apps onto one another, in a logical way. However, there’s not very much new about it, as iOS for iPod, iPhone and iPad already had this feature for more than two years now. Android is just playing catching up in this regard. You can now also “Pin” your apps into the tray (or drawer) for instant access without needing to fire up the menu. Now you can choose apps with live content and place it on one of the home screens and get live updates. These interactive widgets will let you surf over the latest news, updates from social web, new emails, play music, maps and much more. And these widgets are resizable, so you can shrink or expand the size depending upon how much content you want to see of the app, simple! 4) Look Ma, No Shackles! With ICS, you can do much more without even unlocking your home screen! You can now jump straight to the camera application from the lock screen, saving you that extra time of unlocking swipe to capture that perfect image just in the nick of time. Also, you can drag down the notification list to see the recent notifications, surf through & change music and see the album art. Enter the world of locked freedom. Now when you get an incoming call, you can quickly respond to it by a text message. You can now simply swipe up the control to see a list of pre-fed text replies (you can add more) and click send and cut the call at the same time! Cool, isn’t it? The keyboard in ICS has now kept up with the people with record braking typing speeds or just people suffering with dyslexia. The keyboard is now improved and is much faster and much accurate, so that even if you make errors while typing, the word suggestion with a new algorithm returns the best suggestions on the suggestion strip. Also, the misspelled word now gets underlined alas Microsoft Office. A tap on that word will give you multiple spelling suggestion and an option to add it to the dictionary. This also works for words which are spelled correctly. You are given a provision to download third party dictionaries so that you don’t end up being beaten by local crowd when in an alien country. ICS brings up a powerful and new voice engine that offers what Google calls “open microphone” experience. You can now speak for a prolonged time continuously and dictate in any language of your choice, if you know the language, that is. Although the claims are high, we’re sure this might not extend to regional languages in India, at least for now. 8) Where Did My Data Go. Finally, and thankfully, you will now be able to have a control over your capped data plans. ICS now adds controls for managing data usage over GPRS/3G and Wi-Fi separately with the provision for viewing the data usage by individual app. You can set warning levels, data blocking after a certain limit or shut off the mobile data. 9) There’s Everything for Everyone. The new Android has built-in features for visually challenged people. The device has many features which will help people with any kind of audio/visual disability to understand and navigate the system better. The on-screen reader is activated to help read out the content in setting controls, webpages, apps and many on the same lines. A simple gesture of drawing a square (clockwise from upper left) activates all the accessibilities features and brings up a tutorial. Andoid 4.0 has has a tight integration with all the major social networking sites and has brought along all the features in a single app, People. The app is integration of your phonebook with Facebook, Google+, Twitter, LinkedIn, FourSquare and any other service you are subscribed to. It provide a unified experience and streams live updates from the people in your contacts. One of the most awaited feature in Android was better camera capabilities. ICS has answered all our desires with very little less left behind. It includes quick editing of picture after taking a snap, continuous focus, zero shutter lag, decreased in shot times and image stability. It also features effects in videos and simultaneous snaps, while video is being shot. The built-in face detection sets focus on multiple faces with multiple focus points. Additional welcome is the panorama mode, where you can snap larger images. The gallery has also been given a makeover in terms of an improved image editor and a new interface. Also, Live Effects brings up the crazy world we can’t see, for the crazy artist in us. With Live Effects, one can put a completely different background behind the subject to any image while shooting the video. Another funny extension for video is the Silly Faces, which has a set of crazy effects of morphing to transform the face. The default Android browser now has a much faster and more fluid experience, saving the desktop class rendering at the same time. You can now sync everything with your Google Chrome account and read it anytime you want, even offline. The stock browser showed nearly 200% of improvement over Android 2.3 browser, which speaks for itself the quality of the new browser. The results were even better on Galaxy Nexus device. Beam is new way of sharing information. It’s also faster and with less hassles like pairing two devices before sending the files. Tap two devices together and click send, it’s that easy to use! You can share anything and everything to another phone or device what you can see on your device, even the screens can be shared and a movie can be streamed on both the devices simultaneously. The biggest boon is the sharing of apps across devices. Now you don’t have to waste time finding the app by its name which you found cool on your friend’s device. Just tap the device, share the app and on your device you’ll be taken to Google Play page of the app to easily download it. Slick! Also cool is the ability of sending files over Wi-Fi to the nearby devices by Wi-Fi direct. Devices with Wi-Fi radios can share the files over Wi-Fi without any need of internet connection or Wi-Fi tethering. ICS takes on a comparatively newer approach of unlocking the device via recognizing your face. Although this might not always be handy, it might be useful when you accidently forget your PIN or unlock patter, which you, accept it, do quite a many times.